Fernando Estrada, Ph.D., contributes actively to the scholarship of college teaching and the personal and academic excellence of under served-under represented minorities. Dr. Estrada is an expert in the areas of masculinity and gender within counseling and educational settings, and specifically with Latino populations. 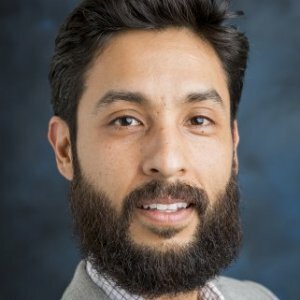 His work has been published in peer-review outlets like Hispanic Higher Education and the Journal of Counseling Psychology. He received a bachelor's degree in psychology from the University of California at San Diego, two master's degrees in counseling psychology from Teachers College at Columbia University, and a doctoral (Ph.D.) degree in counseling psychology from Arizona State University. Dr. Estrada’s research interests include masculinity and multicultural education. He currently leads a research team on positive masculinity and psychological health. Dr. Estrada is also active in studying the role of affect in a multicultural context. He incorporates stimulus-response technology to study questions related to multicultural education and counseling. Beyond the seal of biliteracy: The development of bilingual counseling proficiency at the university level. Multilingual Educator. California Association for Bilingual Education. Estrada, F., Lavadenz, M., Paynter, M., Ruiz, R.
The passage of California Assembly Bill 815 (Brownley, Chapter 618, Statutes of 2011) established in 2012 the State Seal of Biliteracy-an officical marker on graduating seniors' high school diplomas, as evidence of high school graduates' attainment of a high level of proficiency in speaking, reading, and writing one or more languages, in addition to English. Estrada, F., & Jimenez, P.
Latino men, part of the nation’s largest and fastest-growing minority group, stand to benefit from new knowledge related to factors that positively influence college persistence. In this study, the investigators examined whether machismo—a multidimensional and gendered social construct—was directly and indirectly associated with three outcomes associated with postsecondary success: connectedness at school, ethnic identity, and support-seeking behavior. Hierarchical moderated regression analysis on data from 140 mainly Mexican American undergraduates partially supported the hypotheses. Implications for college counselors and program coordinators are discussed, along with limitations of the study and areas for future scholarship.